Idaho is celebrating its 5th year of hosting the Official Idaho State Sanctioned, International Chili Society Cook-Off. The winner has the opportunity to compete at the World Champion Chili Cook Off in Palm Springs, California, October 11-13, with $25,000 in prize monies at stake! 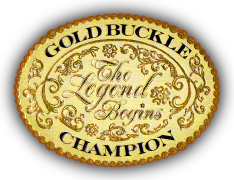 The reins of this fun filled, family oriented event have been handed to Gold Buckle Champion, by the Nampa Lions Organization. Proceeds will go for our local charity to be used in our community to further the education of equine health and safety, while preserving our western heritage and history, by promoting equine events, that incorporate the youth and community. Evolution of Horse Power “Cars of New and Old Show” in conjunction with the Idaho Cutting Horse Association Futurity & Aged Event and Mercuria World Series. The event will run Saturday August 31 at the Idaho Horse Park Parking lot and Concession area, from 8:00 am to 8:00 pm. Fun for the entire family! You will see the evolution of horsepower in the form of transportation… from the one-horsepower of the trusted steed, to vehicles of 22 horse power in the 1900’s, all the way up to the luxury vehicles of over 600 horsepower that we have come to depend on today. The Chili Cook-Off will have divisions for the bravest of the Chili Connoisseurs with Red Chili, Chili Verde, Salsa, and Home-style Competition, who if they win, will have the chance to compete at the World Competition, to the very popular People’s choice award for everyone to get involved in. Cash and Prizes will be awarded for the best Chilies in the International Chili Cook-Off categories, as well as some really fun cash and prizes for the People’s Choice Award. This year we will feature a special division for the youth. The winner of the youth competition will have their most delicious recipe featured at some of our finest local restaurants, plus a scholarship prize. Everyone is encouraged to enter! This is a great opportunity to showcase your business as well as your culinary talents. Prizes for best decorated booth, most enthusiastic team, and, of course the best chili, just to mention a few! Besides cash and prizes, winners will receive a trophy and of course“bragging” rights. Entry fee for the contest is a donation to Gold Buckle Champion charity and 1 gallon(s) of chili and/or Salsa for public tasting. More is suggested, but not mandatory per ICS rules. (Must be a member of the International Chili Society to be eligible to go on to the World Competition) Spectators can purchase a tasting packet to sample all the wares at the event! Gold Buckle Champions has a long history of putting on events that have a large community involvement. The March show is home of the Nampa Fire Department BBQ to raise money for their Burn Out Fund. After just 3 short years of involvement, Gold Buckle has helped them from go to $500 per event to over $10,000. The August-September event is home to the Marines Toys for Tots, which we have also helped to raise thousands of dollars for children in Idaho and norther Nevada. Because of our efforts, thousands of people attend these FREE events to introduce their children to a rural lifestyle and agriculture events. The August 31st event will also be a networking event for local chamber of commerces, businesses, and the Toys for Tots kick-off with an Abrams Tank that the public can tour, for just the price of one new toy. Admission to the ICHA Futurity & Aged Event and Mercuria World Series, an internationally renowned show, is also FREE. Contestants come from all over the United States and World to attend these events. Admission for booth space to local businesses is a donation to either Gold Buckle Champion and/or the Toys for Tots campaign. The car show would include cars from the past and present. Prizes for the best car in show, etc. Our advertising for this event includes a full color, 28 page tab, delivered in the Sunday newspaper, the weekend before the event. Corey Mikhels, from KQFC Radio, as a participant in the Chili Cook-Off, donates $6,000 worth of airtime to the event. Live remote during the event is in the works. Website, email blasts, social networking, and posting on event sites. Participation from the Idaho Tourism association. The events usually attract all the local news stations with interviews and local coverage. Looking forward to another successful event and best of luck to ALL!